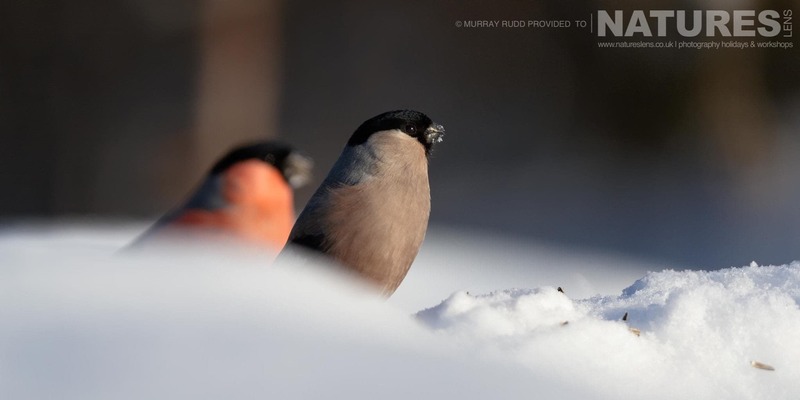 There were plenty of opportunities to capture behavioural shots as well as birds in flight images & from the looks of things; the group were blessed with some fantastic light during the trip. 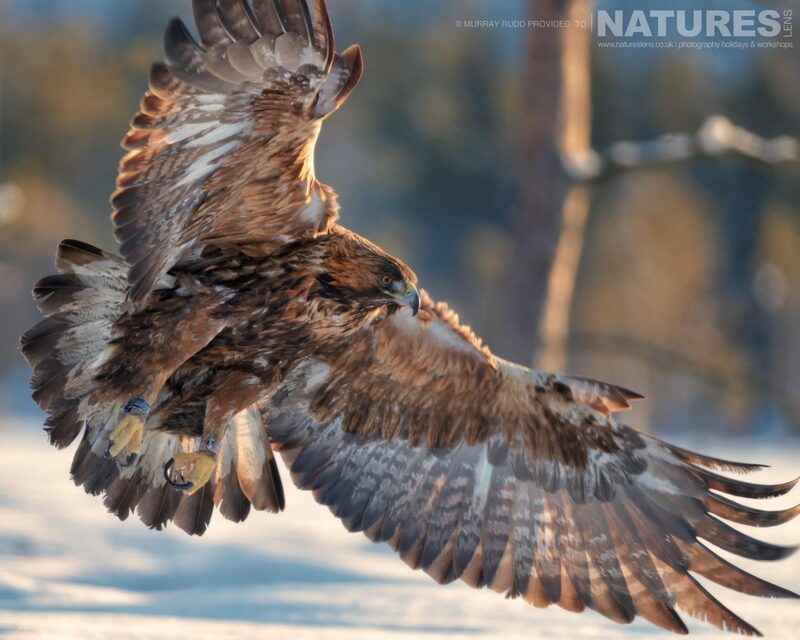 I especially love Murray’s sunlit Golden Eagle – just look at those gorgeous golden tones on the feathers. The weather was also kind to our group. There was plenty of snow on the ground & on the days where there was snowfall, it wasn’t too heavy. Just as well, because there is nothing worse than having a pin sharp snowflake but an out of focus eagle! 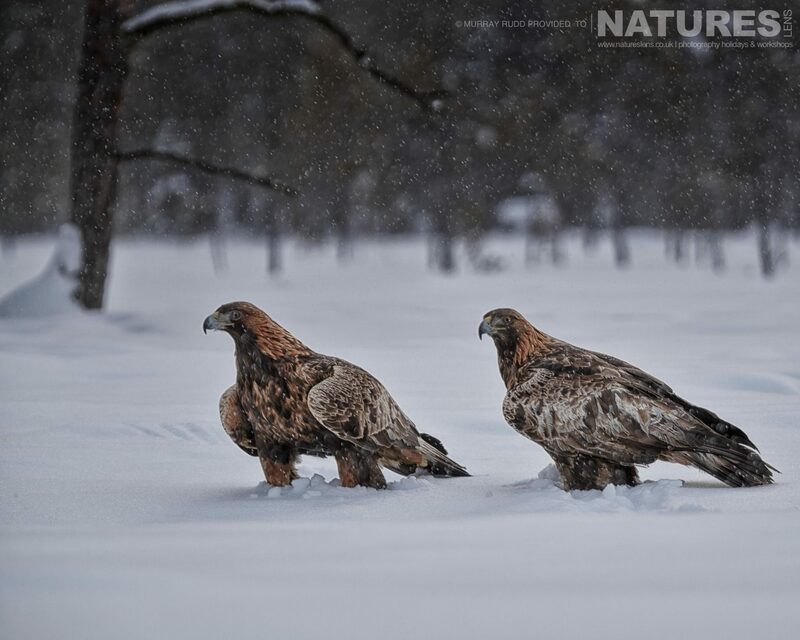 One of the highlights of the tour was when a pair of Golden Eagles paid a visit to the hide. 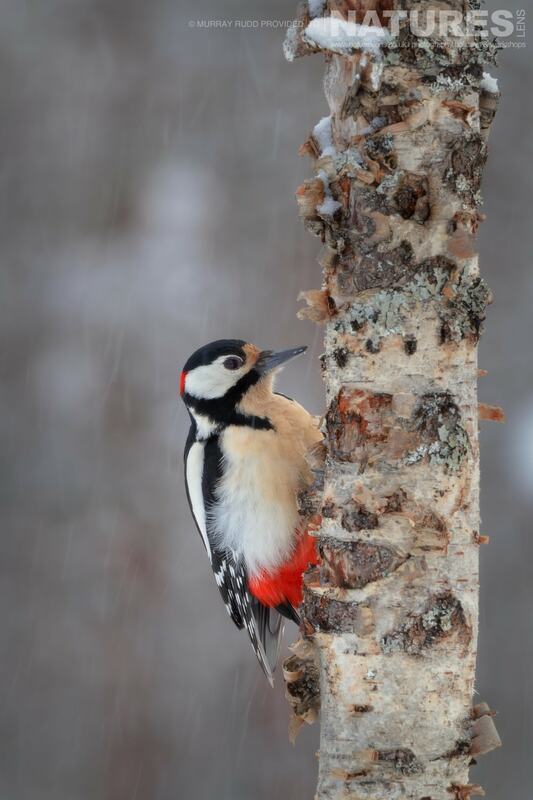 I love snow photography as I think the snow lends itself to clean images & adds a magical air to them. I like how Murray slowed his shutter speed to elongate the snowflakes to great effect on his Jay & Woodpecker images. 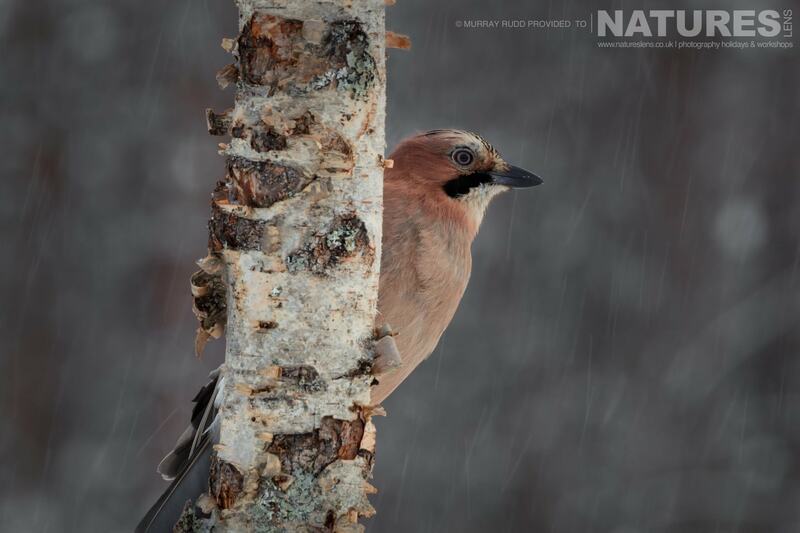 Guests often ask us what lens we recommend to take on our Golden Eagles of the Swedish Winter trip. The answer is never straightforward because it always depends on the type of shot that you are after. Long lenses work best if you are looking to obtain nice portrait shots. 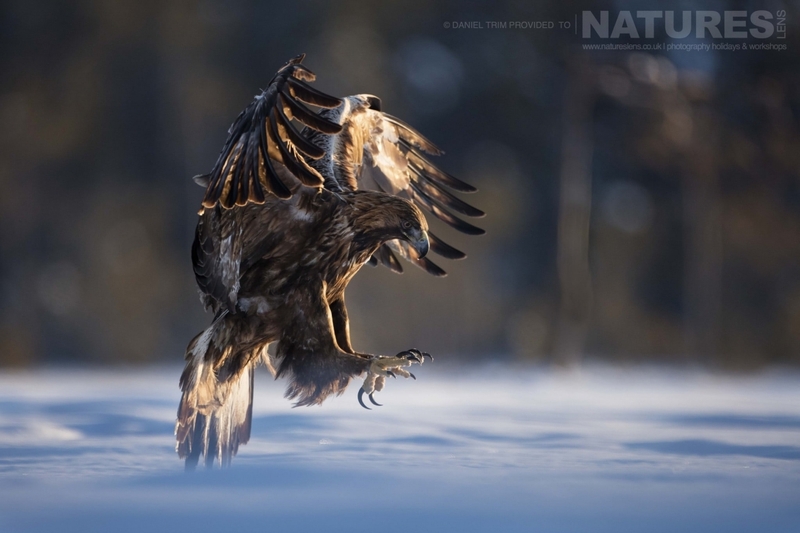 However, these long lenses may prove to be too long when the eagle opens its wings! So it’s always best to bring a couple of lenses to cover off both eventualities. 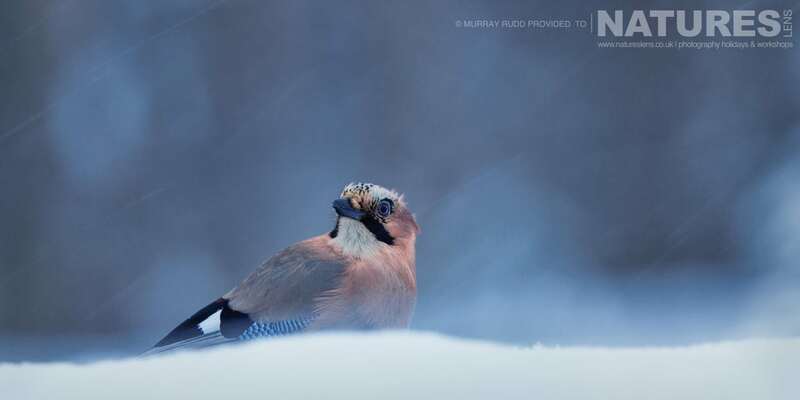 Thanks to Murray for sharing some of his beautiful images with us. We will see you again soon! 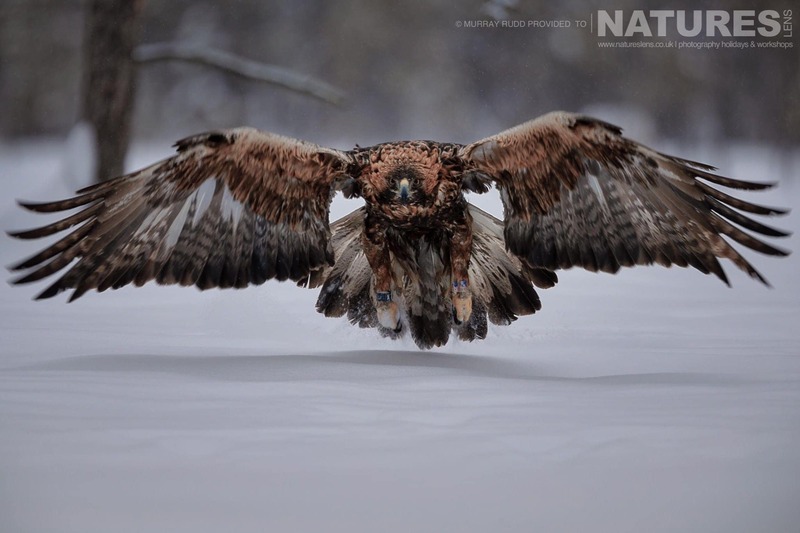 To photograph Sweden's magnificent Golden Eagles for yourself, join Robin Lowry, a member of the NaturesLens guiding team, in Skellefteå, Sweden during March 2019 for a trip lasting 5 nights; this photography holiday will offer you the opportunity to capture images of the the golden eagles & other birdlife; the NaturesLens Golden Eagles of the Swedish Winter Photography Holiday is offered on a full board, non-shared room basis, & costs £1599 per participant. All the details of the Golden Eagles of the Swedish Winter Photography Holiday are available on the dedicated event page. 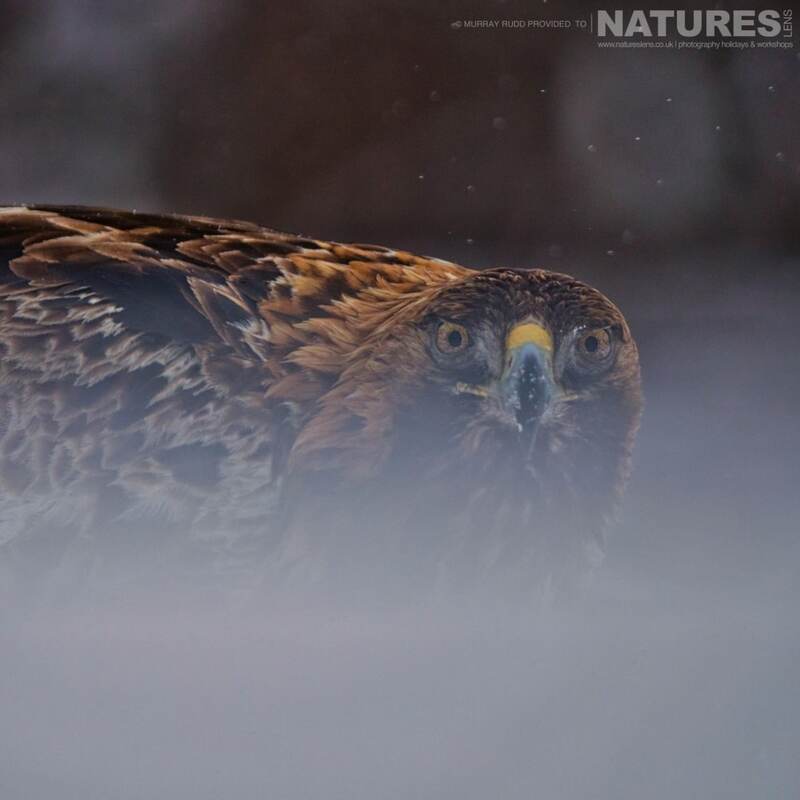 Join Robin Lowry, a member of the NaturesLens guiding team, in Skellefteå during March 2019 for a 5 night photography holiday; take the opportunity to capture images of the golden eagles & other birdlife; the NaturesLens Golden Eagles of the Swedish Winterphotography holiday is offered on a full board, non-shared room basis, & costs £1599 £1499 per participant. 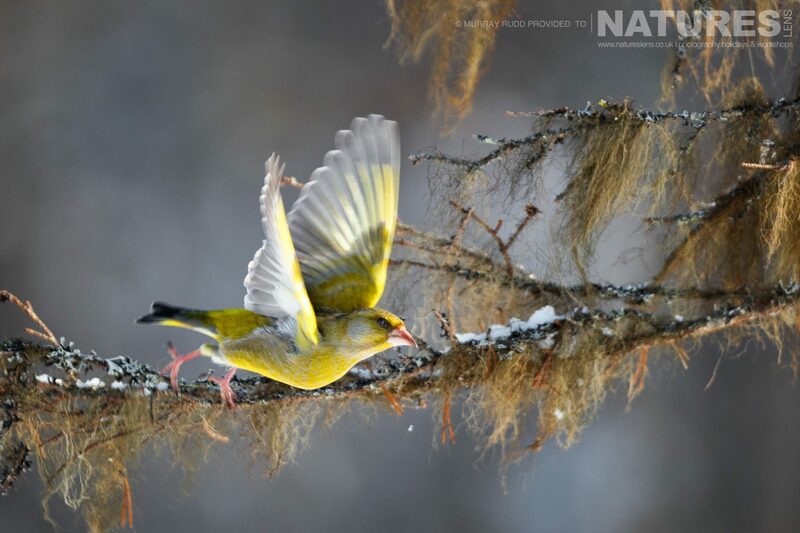 This entry was posted in client images, galleries, sweden, worldwide tours and tagged eagle, finch, golden eagle, jay, siskin, snow, sweden, winter, woodpecker. 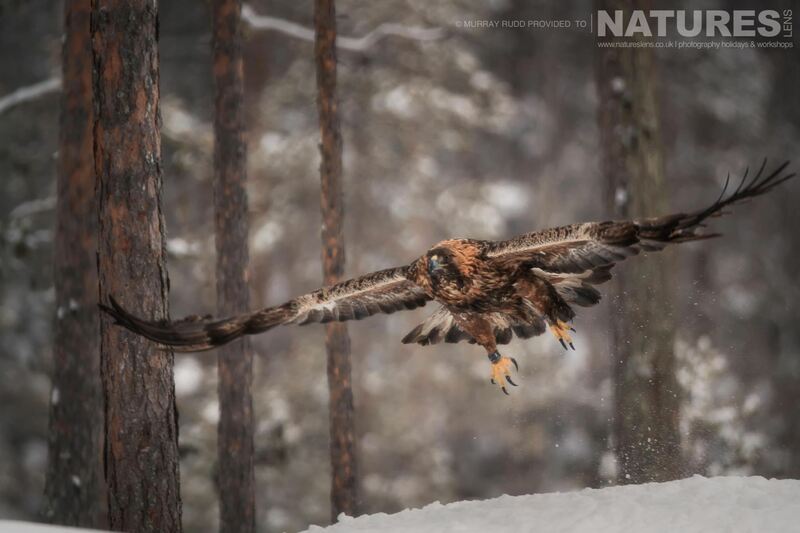 Whatever your query regarding our photography holiday, More of the Golden Eagles of the Swedish Winter, please fill out your details below & we will get back to you.